If you are an experienced Early Years practitioner with experience of working with children from birth to 5 years old, and you wish to gain Early Years Teacher Status (EYTS), the Assessment Only route is ideal for you. As an experienced practitioner it is possible you can meet the requirements of the Teacher Standards (Early Years) without any further training. Supported by your employer, the course allows you to demonstrate that you already meet all the Early Years teaching standards through assessment of your current practice. A successful assessment leads to Teachers' Standards (Early Years) Award. The Early Years Initial Teacher Training (Assessment Only) route is not a training course, but allows you to demonstrate that you meet all the Teachers' Standards (Early Years) through a selection and assessment process. The assessment takes place in the setting where you are currently employed. Full support by your employer is essential to ensure the assessments can take place. If you your setting is based further than 50 miles from Nottingham please contact us to discuss if we can support you before making an application. Disclosure and Barring Service and Prohibition Order checks. The assessment will be completed within a maximum period of 12 weeks. If a longer period is required, then an alternative programme can be advised. The Assessment Only Route does not provide placement experiences .Demonstration of meeting the Teachers’ Standards (Early Years) across babies, toddlers and young children must be gained prior to assessment. Applicants will need to ensure they can meet the Teachers' Standards (Early Years) for experience in two settings including 10 days in Key Stage 1. Driven by the Department for Education (DfE), the recent introduction of the Early Years Initial Teacher Training qualification aims to raise the status and quality of teaching, and ensure children have the best start in life. 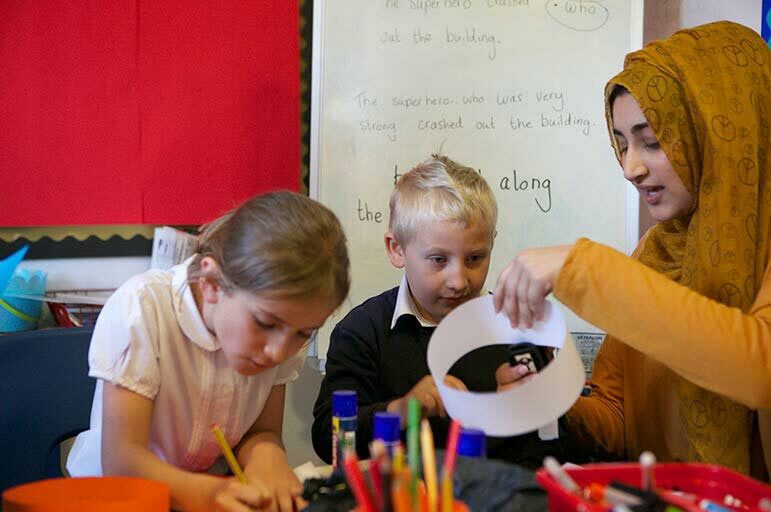 A successful assessment and achieving Early Years Teacher Status will provide you with excellent career development opportunities for the future. If you your setting is based further than 50 miles from Nottingham please contact us to discuss if we can support you before making an application. If you need any more help or information, please email our Admissions Team or call on +44 (0)115 848 4200 . If you apply for a teacher training course, then you must pass professional ITT skills tests in numeracy and literacy as part of the application process. You must have passed these tests before you start the course. Registration and booking for the skills tests are available online. Ready to join us? Then apply as soon as you can. Just click the Apply button at the top of the page and follow the instructions for applying. Make sure you check the entry requirements above carefully before you do. You can get more information and advice about applying to NTU in our postgraduates' guide. Here you'll find advice about how to write a good personal statement and much more. After you’ve applied, we’ll be sending you important emails throughout the application process - so check your emails regularly, including your junk mail folder. There is no Department for Education funding for the Assessment Only route, therefore you or your supporting school must meet the cost of the assessment. There could be an additional charge for travel and accommodation if you are more than 50 miles away from the University. If you your setting is based further than 50 miles from Nottingham please contact us to discuss if we can support you before making an application.